As much as I love intricate recipes and fancy food, I’ll never get tired of simple pantry classics like a can of tuna. It’s one of those things I find myself gravitating to when there seems to be no food in the house. Of course I have a tendency to take things past a simple tuna sandwich, scrambling around for whatever leftovers I might be able to add in. 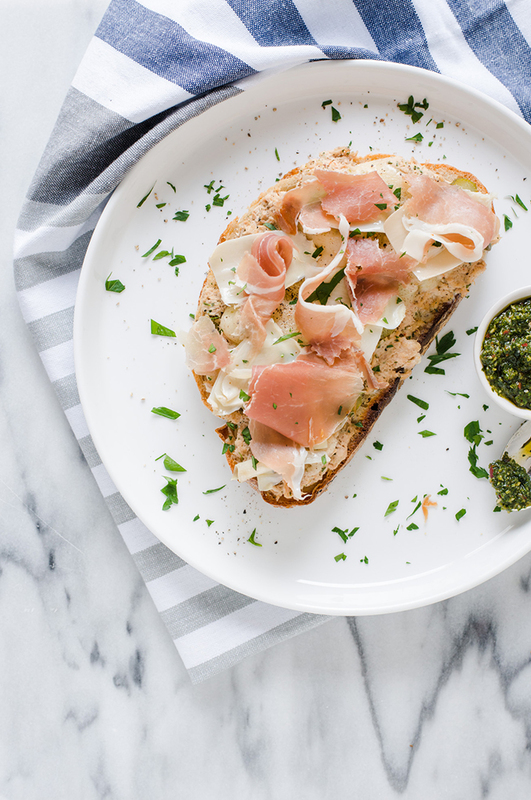 In this case, it was stray pieces of prosciutto, leftover chimichurri sauce, and a can of artichokes. My little ol’ can of tuna was on it’s way to becoming a gourmet star! My favourite way to amp up a can of tuna, is by mixing in pickled/preserved ingredients along with some fresh herbs. Usually it’s chopped pickles, maybe even some pickled onions or peppers, followed by something like fresh chives from the garden. I kept the same formula this time around, but mixed in marinated artichokes, and a drizzle of chimichurri to cut through the tuna, mayonnaise, cheese and prosciutto. All of those wonderful ingredients tossed on a slice of homemade sourdough bread, and I had myself a tuna melt masterpiece! What’s your favourite pantry staple, or way to jazz up simple food like canned tuna? In a bowl, mix together tuna and mayonnaise, adding salt & pepper to taste, as well as some oil from the artichoke hearts. Spread 1-2 tablespoons of chimichurri sauce on your bread, followed by your tuna mix, and top with cheese. Broil in the oven until cheese has melted. 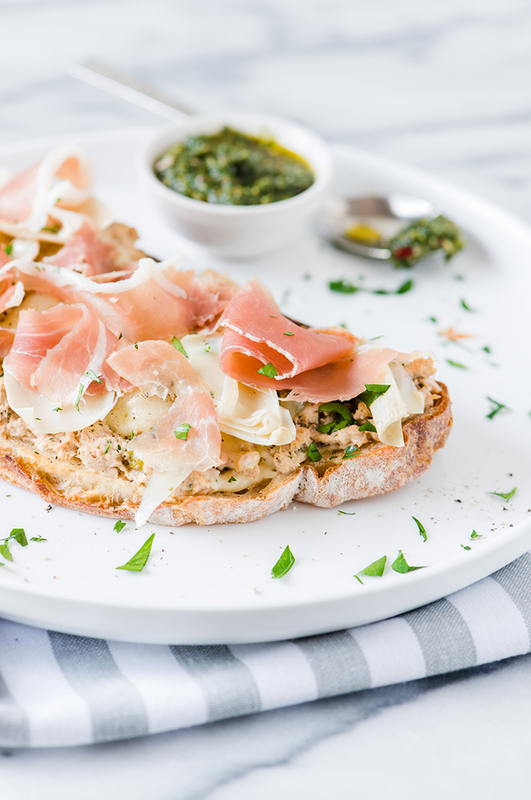 Top with fresh chopped parsley, marinated artichokes, and prosciutto. This looks really nice! It’s also easy to make, worth to try it!